An ex-lover of L'Wren Scott believes her issues stemmed from childhood because she "struggled" to deal with being adopted as a child by a Mormon family in Utah. 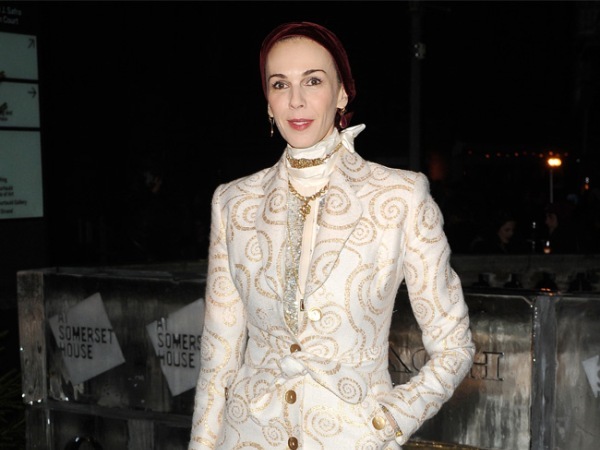 L'Wren Scott "struggled" to deal with being adopted as a baby. An ex-lover of the fashion designer, Scott Tugel (50) - who met L'Wren (47) in the late 1980s and dated her for four months - claimed her issues stemmed from childhood because she hated that she was taken on by a Mormon family in Utah when she was a child. He told The Sun newspaper: "She didn't want to talk about her previous life. She was creating a new identity for herself. She would get really down and solemn about being adopted. I think she struggled with that her entire life." "Her adoptive parents did a great job and she loved them deeply. But I think that was the cause of her problems." Meanwhile, her siblings Randall Bambrough and Jan Shane - who were also adopted by the devout couple - are hoping she will be laid to rest in her hometown where her family can mourn her peacefully. Rob Shane, her brother-in-law, said previously: "Jan is hoping that Randy will do the right thing and bring L'Wren back to Utah. The family has a plot at a cemetery in North Ogden, and she would like her sister buried by their parents." L'Wren - who was known as Luann Bambrough growing up - was particularly close to her brother, but hadn't spoken to her sister since the passing of their mother in 2008. L'Wren who has dated Sir Mick Jagger for 13 years, was found hanged at her New York apartment on Monday and the coroner confirmed yesterday that her death was suicide.